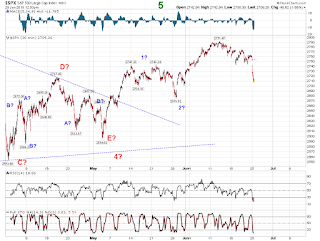 The SPX opened gap down this morning and has just keep moving lower, we are currently down at the lows of the day, $45.62 at the $2709.68 level. 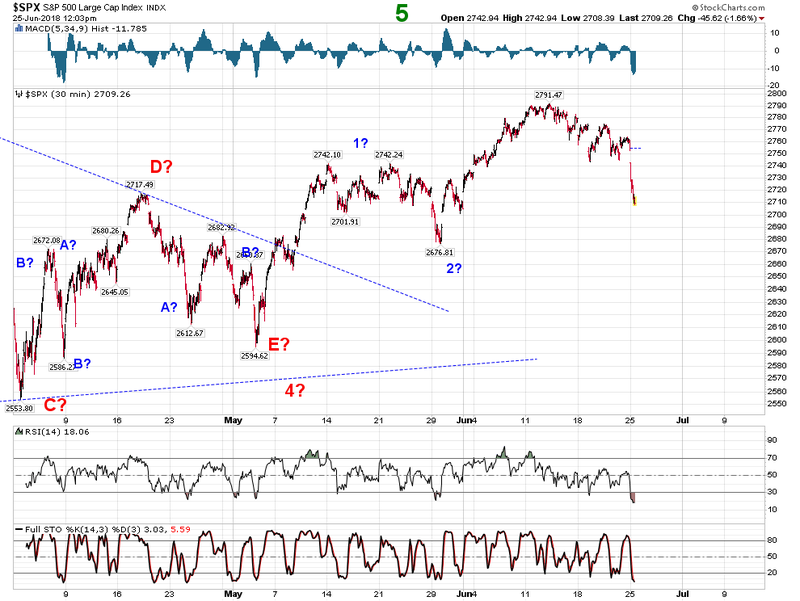 Odds of a 5th wave have really dropped now! !